Santa Rosa, CA – (April 18, 2014) – Summit State Bank (NASDAQ: SSBI) received recognition as one of the Top 20 Corporate Philanthropists in the North Bay by the North Bay Business Journal. The award recognizes those companies that give back through innovative programs and strong commitment by its team members to make discernible and lasting differences in the communities they serve. This award reflects the full spectrum of Summit State Bank’s community support and engagement. Summit donated 5% of their net profit in 2013. In addition to annual donations, Summit partners with many of its nonprofit customers to further their causes, such as stuffing bank statements with promotional materials, featuring displays in its branches, highlighting these organizations in its own advertising and inviting them to the many community events that Summit sponsors and participates in to provide them additional opportunities to connect with other community members. “At Summit, we believe in our charter, ‘To Do for the Greater Good of the Community,’” says Tom Duryea, president and CEO. “Supporting our community is an important part of who we are. We offer financial support, volunteer hours, our Summit Day of Service, and our Employee Sponsorship Program. We empower our employees to be engaged and supportive of our community in whatever way best speaks to them.” Summit State Bank also creates unique giving or fundraising programs, like their Nonprofit Partner Donation Program, It’s a Wonderful Life in Sonoma County giving campaign, and Shop for COTS (Committee on the Shelterless). 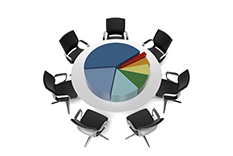 Summit State Bank has total assets of $454 million and total equity of $62 million at December 31, 2013. 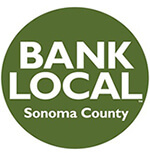 Headquartered in Sonoma County, the Bank provides diverse financial products and services throughout Sonoma, Napa, San Francisco and Marin Counties. Summit has been recognized as a Top Corporate Philanthropist by the North Bay Business Journal and as one of the Top 75 Corporate Philanthropists in the Bay Area by the San Francisco Business Times. In addition, Summit State Bank received the 2013 Rising Star Award from the California Independent Bankers, the 2012 Community Bank Award from the American Bankers Association for its nonprofit work, and has been recognized as one of the North Bay’s Best Places to Work by the North Bay Business Journal. Summit has also been consistently recognized as a high performing bank by Findley Reports. Summit State Bank’s stock is traded on the Nasdaq Global Market under the symbol SSBI. Further information can be found at www.summitstatebank.com.